This book is the first in a long series of books about the MacGreagor Clan. Although they can be read independently, it is probably better to read this first book which sets the historic background and tone for all the others. 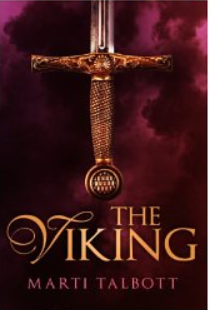 Talbott introduces the reader to fourteen year old Stefan Rosetti who is embarking on his first voyage as a Viking. His father Donor commands his ship Sja Vinna; which is headed for the shores of Scotland; but Stefan is unaware that his father has plans for both of them to remain in Scotland, the land of his mother’s birth. Unfortunately, they are attacked immediately after going ashore. Donor is killed; Stefan escapes and searches for a new beginning. Stefan becomes the protector of a woman named Jirvel and her daughter, Kannak. Jirvel’s husband Eogan has deserted them, and their lands are in disrepair. Stefan rapidly gains their trust; he feigns to be their relative from the lands to the North. The women belong to the Macoran clan and are under the protection of their Laird. Jirvel and Kannak plead with him to allow them to remain single as many suitors seek to marry them. The Laird experiences struggles with his wife Agnes and two wayward twin sons who plot against him. I do not want to give away too much of the story, but there are lots of twists and turns in the plot for all the characters. Stefan will lose his freedom and eventually uncover his true identity. The characters are well developed and the plot line moves swiftly. This is the kind of book you want to read in one sitting. The dialogue is authentic but not difficult to understand. Talbott combines history, romance and adventure in pleasing proportions. I recommend the book for ages fourteen and older. Let me give fair warning….. as soon as you finish reading, you will want to pick up the next in the series! Kate Silverton is an eleven year old about to celebrate her birthday. Her teacher Mrs. Guffey, who she likes to call Mrs. Tuffey, has given them a weekend homework assignment to write about another culture. After being disappointed by her relative’s birthday gifts, Kate heads out to the backyard with her backpack. Suddenly, it begins to rain and she takes refuge. When the rain stops, Kate is surprised to find a rainbow which she walks through. 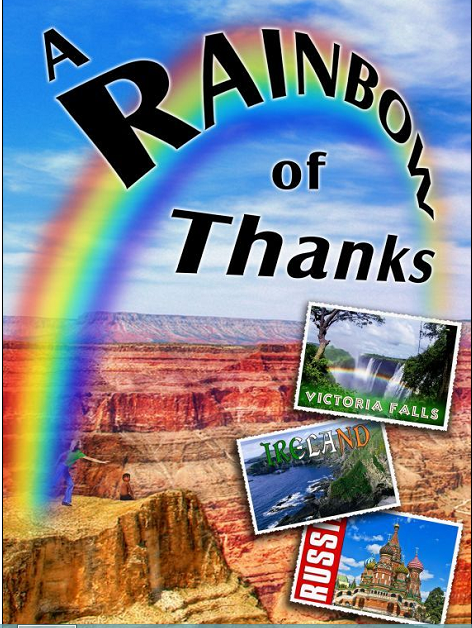 On the other side, she meets a Navajo boy named Little Elk who is sitting on a rock in Arizona during “the week of silence.” He asks her where she came from explaining that Navajos believe the God travels on a rainbow and that a rainbow is a bridge between the human world and the other side. Rainbows also carry heroes between earth and heaven. Kate is mystified; she informs the boy that she is simply an American from Ohio who walked through a rainbow to the other side. How did she get to Arizona? Realizing that she must walk back through the rainbow to the other side before it disappears, Kate pulls out the walkman radio from her backpack and gives it as a gift to Little Elk to ease his time of silence. Things get even stranger when Kate emerges from the rainbow in the jungle listening to the sound of elephants and seeing a little girl named Chicktow who is searching the ground for grubs to eat. Kate is now in Victoria Falls. She presents her new friend with some oatmeal cookies stamped with Kate’s name and address labels. Kate descends with her friend to the bottom of the Falls where they locate the remnants of the rainbow. Chicktow tells her that the rainbow arch frames the Queen of Heaven. Kate quickly steps into the arch. Kate is disappointed to find herself in Dublin, Ireland when she emerges. The Flanagan boys greet her. In Ireland the rainbow is considered the hem of God’s garments. They tell her that leprechauns believe there is a pot of gold at the end of the rainbow, but all Kate wants is to return to Ohio. She presents them with the old video player she received as a gift before she departs. Kate must still journey to Germany, Russia, Polynesia, Croatia and Scotland before she lands back in the United States. In California, she meets a medicine man of the Mojave who tells her that the rainbow is a charm the Creator uses to stop a rain storm. Finally, she walks through the rainbow one hour later to find herself at home in Ohio. Wow! What a journey! Kate writes her report immediately before she forgets her adventure. Her mother is puzzled by her strange behavior. Mrs. Guffey gives her an A on her report, but asks why she did not choose one culture. The next week, Kate draws a stunning, accurate portrait so real that her teacher goes to her home for a talk with Mrs. Silverton because she fears that Kate is delusional. How will Kate prove her story? A mysterious visitor will provide the answer. This e book is available on Smashwords. A paperback version can now be found on amazon. Recommended for children ages eight and up, but adults will love it as well.